In the process of my work, I get to encounter many challenges and some of them are the camera equipment that I work with. Some can be inevitable while some are just pure negligence or forgetfulness. In this case, I found myself in a situation where I had to think fast and innovate. If you have used devices that require battery life of some kind, this shared experience can help you in one way or another. It was a Saturday morning which wasn’t a working day when I was asked to accompany the wildlife veterinary for an elephant intervention. My role was to document the process and take pictures of the process. I had done many of such assignments and I packed my equipment for the day without checking the batteries. We had to drive off-road for almost 30 Km and I was sited at the back of a pickup land cruiser with canvas. Despite bumpy road, I took out a Samsung camera to go through the settings and to get it ready. We then stopped at an entrance gate to the wildlife sanctuary and I saw some local maasai cattle drinking water. I pulled out a Nikon camera to capture a few shots for stock just to realize the battery was dead. We still had a long way to go and I thought the harsh sun of northern Kenya will do the trick. 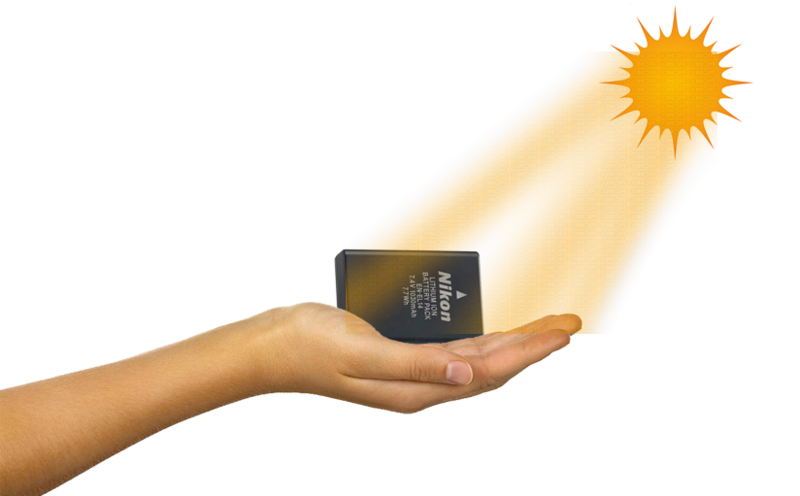 I remembered back when we were young, we used to let the sun recharge our toy batteries. Without wasting time, I quickly pulled out the battery to charge it using the sun. I held the battery under direct sunlight while turning back and forth when it becomes too hot. I had nothing to lose anyway and I had a backup camera that could shoot both video and photos. We got to the location and waited for the rangers to locate the elephant and give feedback. Minutes later, the team was informed that the elephant has been seen limping and suspected to have a bullet wound. The bushy and rocky terrain could not allow the vet unit to get close with the car. It was midday and the heat was dangerous too for the elephant. So we headed to a nearby lodge for lunch as we wait for the elephant to move to a better location for the operation. We sat at a dining table by the pool area as we wait. I checked my battery and to my surprise, it was full. I knew it was not going to last long and I let it recharge again. A few minutes later, we heard two jets flying right above the lodge. Then what followed was a loud bang. This is when everything changed and the turn of events diverted the whole operation. We all speculated on what that could be. 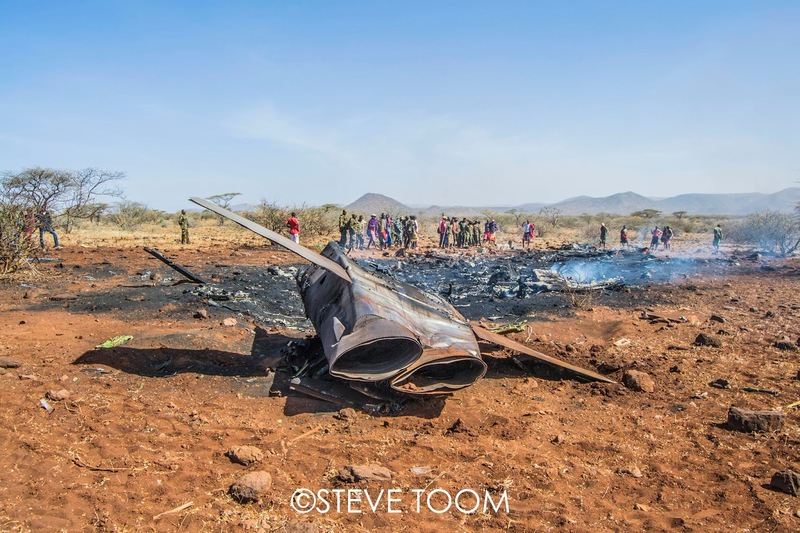 One local maasai employee at the lodge ran to where we were and told us that he has seen a jetfighter in flames freefalling. We all rushed to see what had unfolded as I kept my camera rolling. Our driver was nowhere to be seen as he was driving towards the descending pilot who had ejected from the jet. We could all see the orange parachute coming down slowly as the team was communicating to find rescue from the neighboring conservancy. The rangers came and drove us to the scene of the jet in flames. We were informed that the driver was already with the pilot on the ground. Rescue helicopter had come and another air force helicopter landed at the scene. I got to photograph the sequence of events using the Nikon that was already charged. I got to take over 200 images of the event and went back with the camera still charged. The images were requested by the air force and used for broadcast brief. This technique of charging the camera using the sun helped a lot and I haven’t known if it has an effect in the lifespan of the battery. I got to use this technique again when I was in an expedition on an island in Lake Baringo. This time, it was a Sony camera and I was interchanging batteries as I recharge them using the sun.